As a 30 something year young woman, one of the worst skin issues I battle is dry skin. I went from being an oil slick in my 20's to a desert and It's been a painful transition. Sometimes literally. I get the flakes and the redness and dryness just invites wrinkles. So of course I'm always willing to try out new creams, lotions and potions to combat this ongoing issue. Moisturizer is very important and I use it every day, along with sun screen. 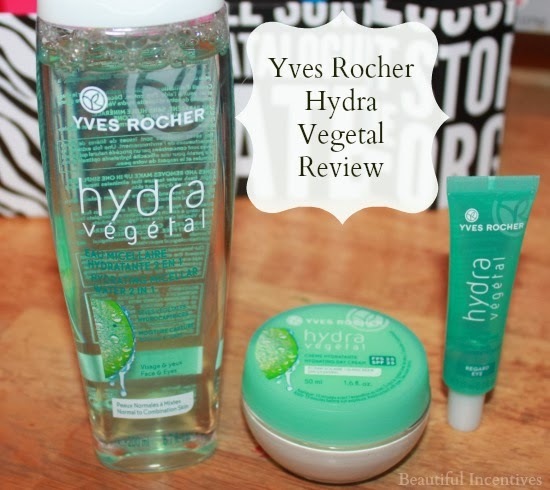 This is why I was excited to try the Hydra Vegetal line from Yves Rocher. So far, none of their products have disappointed me. You can see my review on their anti aging global line here. The 2 in 1 makeup remover and toner smells amazing. It's a very fresh plant like scent. It definitely got the job done, without leaving my skin dry. This 2 in 1 is meant for combination and normal skin and it is free of parabens, mineral oil, coloring, or silicon. So it is a very gentle combination for your skin. I loved the way this felt while wiping my makeup off. It was refreshing and it also didn't take too many swipes to get it all off. It did leave my face a bit sticky, but that went away after a few minutes. 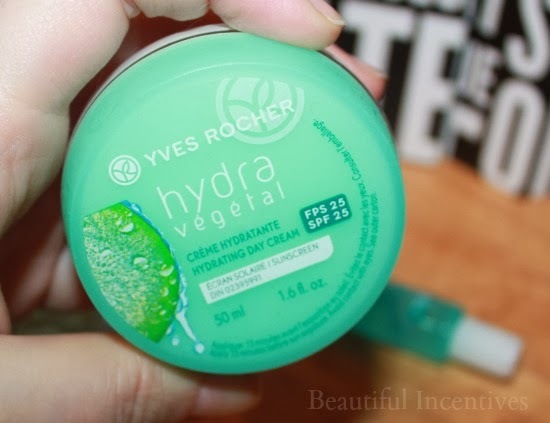 The Hydrating Day Cream also has a fresh plant scent that I like. This cream contains an SPF of 25 and goes on really smooth. It combines the popular sunscreen chemicals octinoxate, octisalate and Zinc oxide. It also contains a chemical i've never heard of called ensulizole. Some people may be senstive to the sunscreen ingredients, but my skin tolerated it well for the day. I usually prefer only Zinc or other forms, but I am open to trying new things. My skin irritates easily, that is why i'm so picky. Along with the controversy over sunscreen chemicals. This cream is extra emollient going on the skin. It blends in like a dream. I'm going to continue using this through the warmer months to come and see how it fairs to others, but I really enjoy how moisturizing this is and that is very important. This claims to leave the skin visibly plumped and uses special Botanical Saps that have the ability to penetrate all layers of the skin. It definitely does leave my skin more supple and soft. It is also free of parabens, mineral oil and coloring. Lastly is the the eye bag gel. This also has a wonderfully fresh scent like all the others. I like to keep this in the fridge so that when I apply it in the morning as directed, I get a nice cool blast underneath my eyes. I suffer from major bags and dark under eye circles and I'm always looking for something to help reduce the appearance of them. I know i can't cure them, but i'll try anything to calm them down. 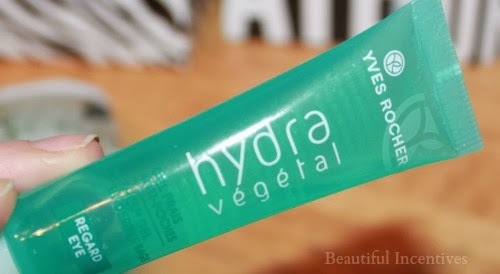 This claims to lighten the eyes, illuminate and moisturize. It is free from parabens, mineral oil and silicones. I can't say I saw a marked improvement in anything from using this, but I still have a ways to go and it is also very moisturizing. I love the feel of this on my skin and will continue to use it to see if it makes a difference. Overall, the hydrating factor to all these products is top notch. 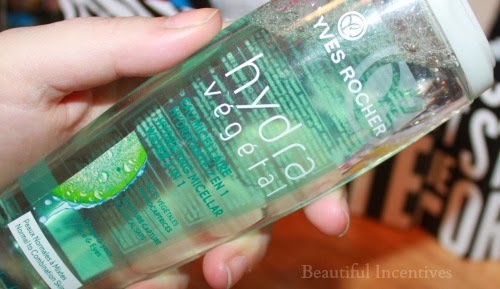 It does what it claims to do and that is hydrate, moisturize and tone. I think it's worth a shot to check it out, if you have normal to combination skin. My favorite of all the products is the Day Cream. It's incredibly emollient and the sun protection is exactly enough that you don't need to add more! Right now, you can purchase these products for half the cost during their sale! Happy Shopping and here's to happy skin in the New Year!